Justine Phillips is a partner in both Data Privacy & Security and Labor and Employment Practice Groups in the firm's San Diego office. Justine focuses her practice on cybersecurity, data privacy, employment litigation and counseling, and commercial litigation. Her representations involve every aspect of cybersecurity from information governance, diligence in acquisitions/investments, incident preparedness and response, drafting incident response plans and conducting breach simulations, to advising on California Consumer Privacy Act, responding to regulators, and defending companies in litigation relating to cyber events. Justine takes a practical and thoughtful approach to assist multi-national and emerging companies on everyday issues related to electronically stored information including: privacy/security by design, cyber risk management and mitigation; eWorkforce policies; compliance with data regulations; retention/destruction policies and protocols; information-security and data privacy; crisis management and forensic investigations for data breaches; business email compromises; developing policies/protocols/trainings within an organization to create a culture of cyber-awareness; electronic discovery; and social-media issues. 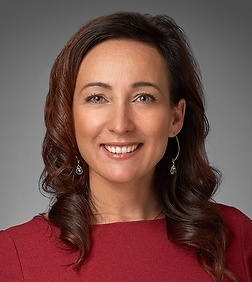 Justine also founded Women in eDiscovery-San Diego, Mother Attorney Mentoring Association-San Diego, and frequently publishes and speaks on cyber-related issues. As an employment attorney, Justine handles commercial litigation for clients in the following public and private industries: cybersecurity and technology, healthcare, tribal, sporting enterprise, insurance, medical device, education, defense, cybersecurity, manufacturing, retail, non-profit and for-profit industries. Justine also regularly advises clients on issues relating to: classification; leave policies; defense of ADA and FEHA disability discrimination claims; interactive process and reasonable accommodation; wage and hour matters; information management; social media; employment agreements; and employee handbooks. Justine has defended companies in both state and federal court against claims of discrimination, harassment, retaliation, and wrongful dismissals.